The University of Florida’s (UF) Institute of Food and Agricultural Sciences (IFAS) and Florida A&M University’s (FAMU) Small Farms and Alternative Enterprises Focus Team are pleased to announce that the third annual Florida Small Farms and Alternative Enterprises Conference will be held in Kissimmee, Florida July 15 – 17, 2011. Registration for the third annual Florida Small Farms and Alternative Enterprises Conference is now open! To register, please visit our online registration here. 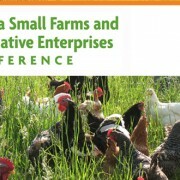 The purpose of the Florida Small Farms and Alternative Enterprises Conference is to provide farmers with more in-depth educational information, to facilitate networking, dialog, and visioning among members of the Florida small farms community, and to increase awareness of the small farms industry to decision makers, supporting institutions, and the general public. The conference will provide high quality educational and networking activities geared to small farms. Concurrent educational sessions (presentations, workshops, hands-on demonstration, and discussion groups) will be provided to share results of groundbreaking research and provide educational support for producers to operate sustainable and profitable enterprises. 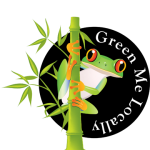 Anyone interested in becoming a part of, and strengthening the small farm community in Florida. 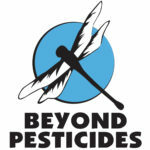 For more information please visit the Florida Small Farms and Alternative Enterprises Conference website.